Chuka University College Postgraduate Courses are offered for various fields of study. In addition to normal course work, students are supposed to write a thesis on a particular topic in their field of study and effectively defend the thesis. This has enhanced the levels of research and helped produce PHD holders who are thorough in conducting research in various fields. 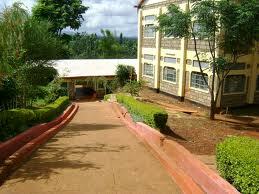 Post-Graduate studies in Chuka University College started in 2005 when Eastern Campus was founded by Egerton University. Uniquely, unlike other Campuses then, the Post-graduate students at Eastern Campus out-numbered the undergraduate students. The first group of the Post-graduate students was admitted in November 2005. Initially, the administration of the programs was centralized at Egerton University Njoro Campus. In 2007, when the Campus was gazetted and elevated to a University College status, the Director of the Campus inaugurated a co-ordination office for Post-graduate studies.